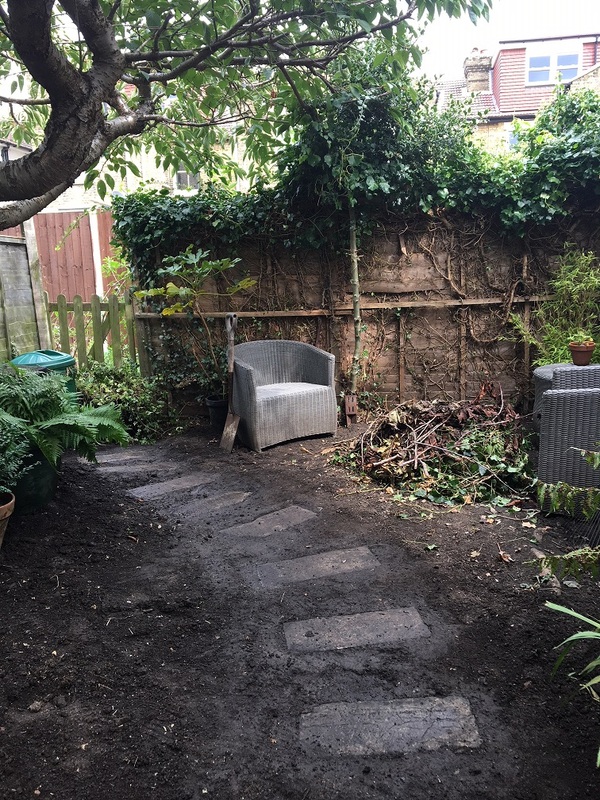 This back garden to a Victorian terraced house in Maidstone was a bit dark and dingy, muddy in winter and dusty in summer. A dilapidated fence which was more ivy than timber and a rickety gate did not provide much security or privacy to the rear access alleyway and wasn't a pleasant sight either. An old stepping-stone path was a little bit higgledepiggledy and was in danger of disappearing under the earth. On the plus side there was a healthy flowering cherry tree and the small size of the garden would mean an affordable solution was possible. The first stage was a bit of tree pruning. The flowering cherry really sets off the garden with its Spring blossom and provides shade in summer but needed thinning out to allow a little bit more light into the area. The old fencing and ivy growth was then removed and new fencing and matching gate fitted. 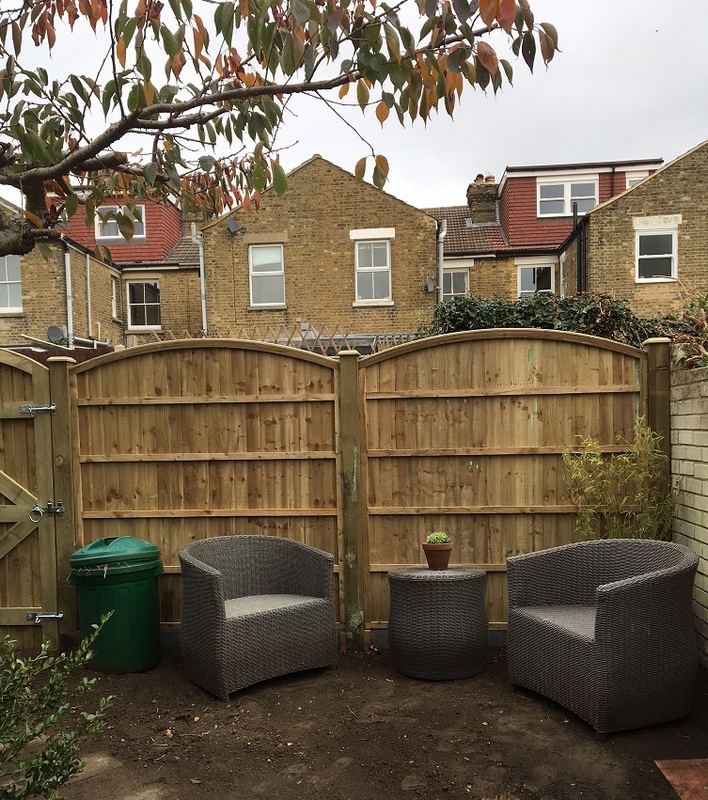 The width was too narrow to fit standard fencing panels and a decent sized gate so these panels were made to measure by a local company. 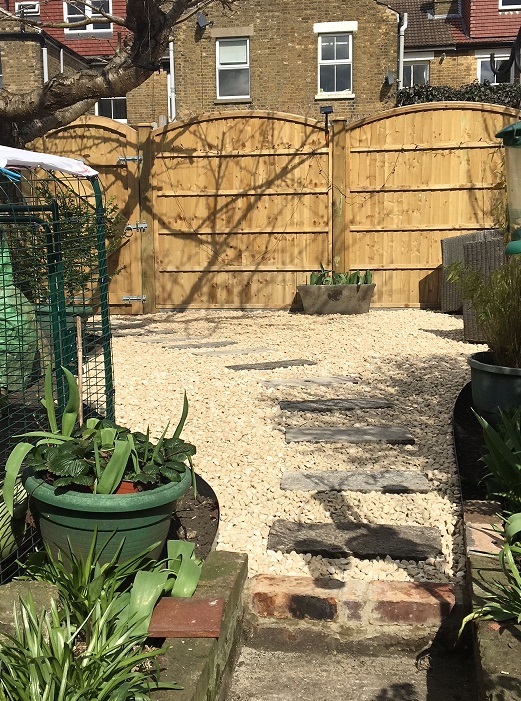 The next stage was completed a few months later and involved creating a clean and dry seating area and two extra planting spaces. The seating area edges were formed using charcoal-coloured Everedge powder-coated galvanised steel edging which is great for creating curved borders and comes in a variety of colours. The old stepping stones were lifted up, cleaned off for re-use and re-laid onto a solid base. 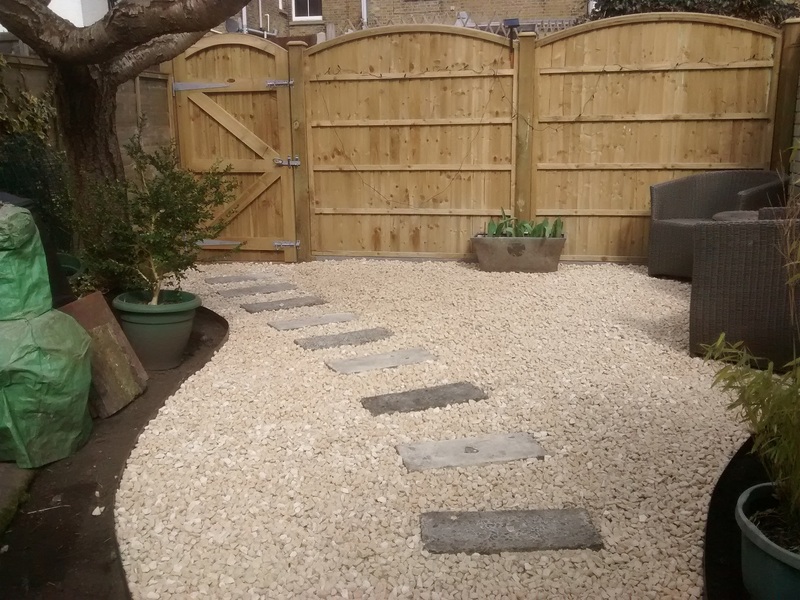 The whole area was then covered with woven membrane and filled in with Cotswold buff stone chips. These stones are ideal for seating areas as they don't displace under foot and their colour helps to lighten potentially dark areas.